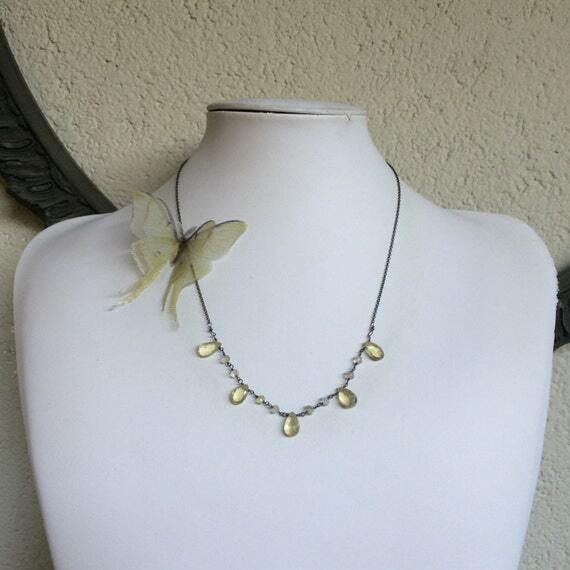 This necklace is my first one completely handmade with sterling silver 925 antiqued. 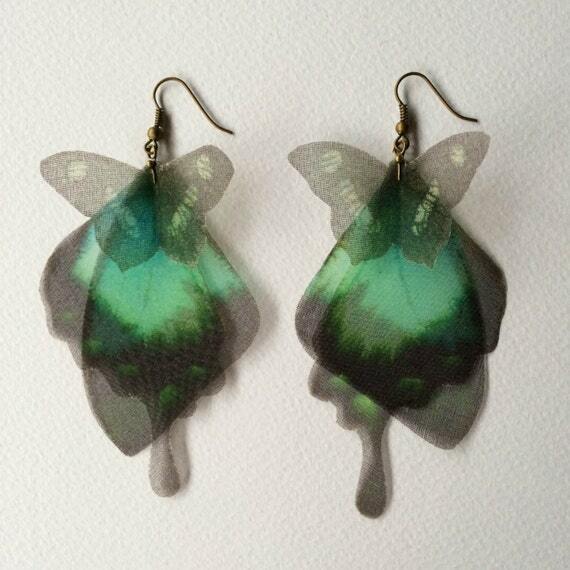 It is lovely and precious with light green Peridot quartz and a solitary silk organza Luna moth (Actias Luna). I chose butterfly images one by one, from real pictures and vintage illustrations. Then I printed them on high quality silk organza, cut, sealed to prevent fabric frying. Please pay attention when you wear the necklace. It is delicate. 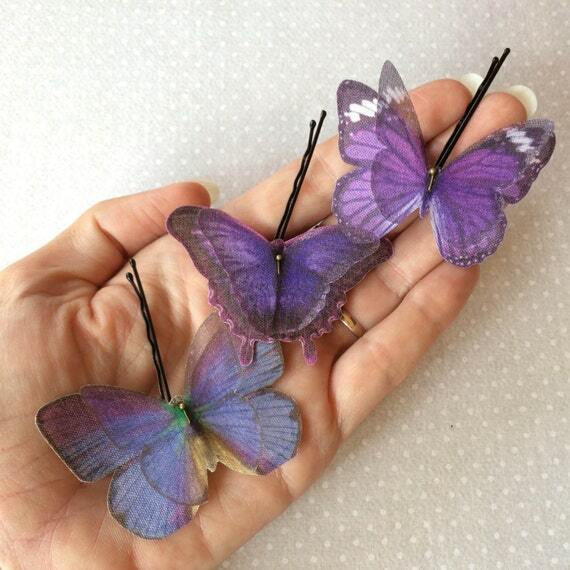 Don’t stretch silk organza butterflies. Luna moth measure about 5 cm. wingspan. Sterling silver antiqued chain is long about 45 cm. with clasp. 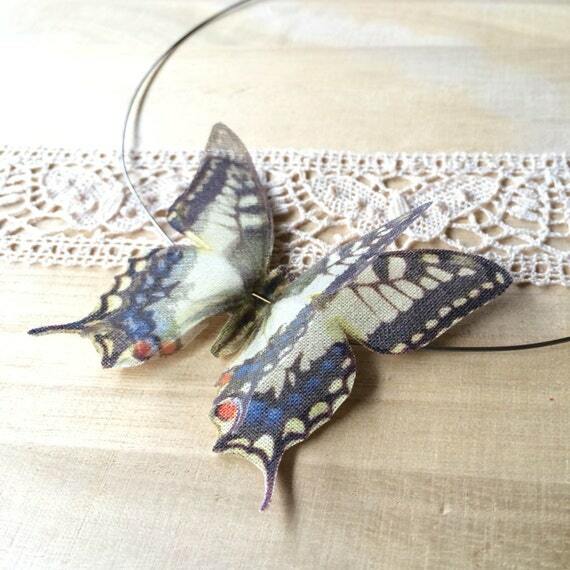 Completely handmade necklace, with cotton and silk organza butterflies. 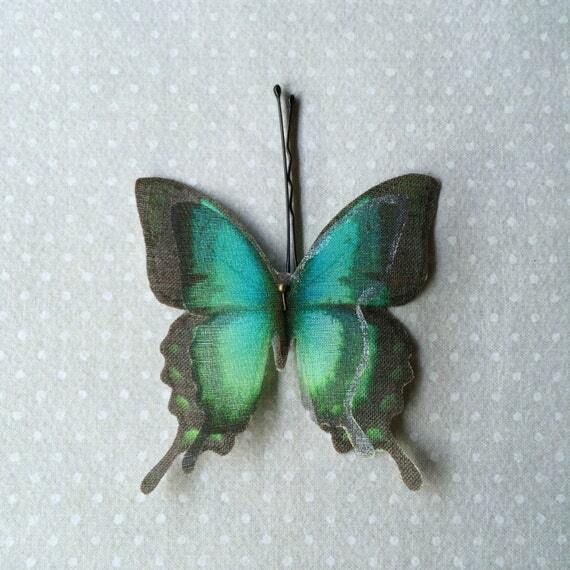 There are 2 butterflies on this necklace, and they measure about 7.5 x 6 cm. In the last picture I’m wearing a SMALL size. 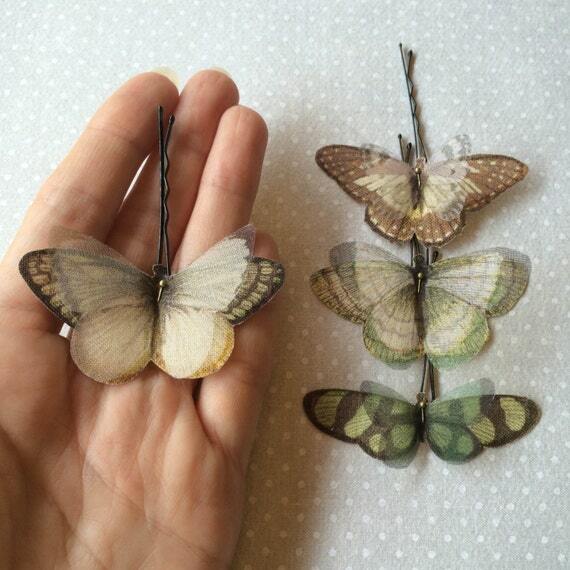 Lovely hand-made bobby pins with GREEN, IVORY and BROWN butterflies.